We are often asked if our wheelchair ramps are suitable for Scooters or Power chairs. The things to look out for with Scooters and Powerchairs is that the front wheels and back wheels are in line with each other. If not you may find that channel ramps are ruled out of the equation. Another thing to look out for with power chairs or the larger wheelchairs is the small tipper wheels on the back. 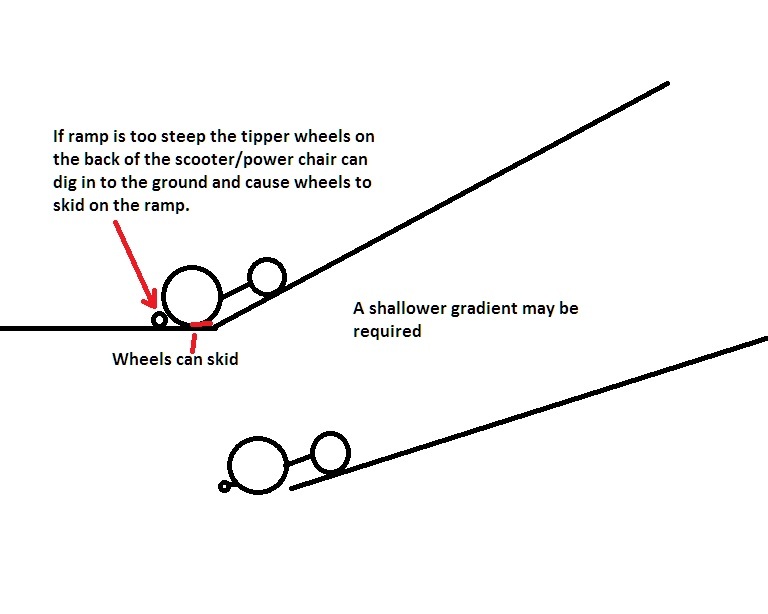 These wheels can cause problems as they can dig in to the ground if the ramp is too steep, especially if it is a long wheelbase scooter as the front wheels are going up the ramp whilst the back wheels are still on a flat surface. 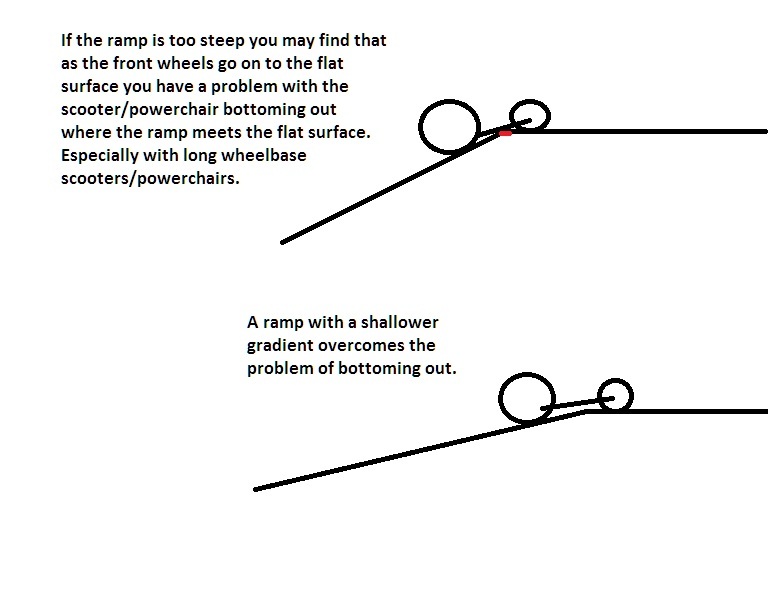 With ramps that are too steep you also have to be wary of the bottoming out effect at the top of the ramp, especially so with long wheelbase scooters or power chairs. With these 3 things in mind our Aerolight wheelchair ramps are an excellent choice for scooters or powerchairs but 1st ensure they are wide enough to allow for off-set wheels, long enough so tipper wheels do not dig in to ground as leading on to the ramp and shallow enough that your scooter or power chair does not bottom out as leaving the ramp.